Ad reflection is good. This year brought so much joy and excitement. Things I had forgotten in all of our bad years from basically 1990. But I still cannot shake the bad taste in my mouth from a very winnable SB game. Upon my reflection, I was wondering.....would Rams had been better exiting after NFC Championship game? I mean we played tough in a hostile environment and came back from 13-0. A loss there would still have hurt but at least we went out fighting. Maybe the Rams were just not ready for that stage? And it is not a foregone conclusion we will be back soon. We laid a huge egg in the SB. There is no doubt about it. I hope we can recover and survive the scrutiny. I totally understand your sentiment. However, let me counter that thought with this: we got Super Bowl experience. Nothing replaces the Super Bowl. Let's say we lost the NFCC this year, and next year we're in the Super Bowl, whose to say a still very young team goes in there and plays like how we did? The reality, however, is that both teams played poorly on offense, and a lot of it had to do with outstanding defensive playcalling and execution on both sides. Goff and Brady had similar stats. It was one of those games where we were in it until the end and, had Cooks made either catch, it's a totally different game. I was at the game, I've rewatched the game, and I've watched the mic'd up version of the game, and I can say that I think, despite not utilizing Gurley--which, yes, is still perplexing--McVay ultimately made some pretty good playcalls where Goff simply missed on his 2nd or 3rd reads (there were numerous occasions, for example, where dumping it off to a RB quickly was wide open). Not putting the entire blame on Goff by any means, as I think the OL certainly played a part in our loss. At the end of the day, I think we're very fortunate to have gotten this experience so that everyone involved isn't so starstruck, so to speak, for the next one. I think McVay certainly could've made better playcalls, don't get me wrong, but I think we were a lot closer than people want to give us credit for. Again, a few plays that go our way and it's a very different game. I believe and have faith that McVay will get at least two titles with us, I'm a firm believer in that. I know it's hard to get back to the Super Bowl but I think we've still got a 1-2 year window at this point before we really start losing core players. Regardless, I think McVay will have us setup for successful competitive seasons, which is all you can really ask for. I still believe McVay is special, I still think Goff is an outstanding QB whose only getting better. I wish we won that game but great teams use stuff like this as fuel. Let's see what our guys got. I think they'll respond. Nice reflections, macrammer, and ones that many of us share as well. I have the unique experience of being both a Rams and Dodgers fan. I've suffered through two consecutive World Series losses and a Super Bowl loss. I can only speak for myself on this, but as a fan, these losses detract from their seasons. It doesn't mean I didn't enjoy the baseball and football regular seasons nor appreciate the ride, but at the end of the day, only one team can lay claim to being a champion and only one fan base can share in that joy. When you get that close and don't seal the deal, it is devastating. And this particular Super Bowl was awful- a negation of all the Rams were able to do offensively for the bulk of their season- a monumental letdown. It is easy to get sucked into the "we'll be back" mind set, but it is far from easy. It took the Rams 17 years to get back there. The Dodgers hadn't been to a World Series since 1988. Life goes on, as there are countless more important things than professional sports. But the sting from these types of losses will always be there. Last edited by NJ Ramsfan1; -02-10-2019, 08:10 PM. Thanks NJ. It is a sting for sure. As I turn 60 this year, I hope to see the Rams go and win before my time here is done. But these opportunities can be fleeting. I appreciate your post, and feel you, Macrammer. (We are of the same vintage, as I also turn 60 this year.) I have been in the same kind of funk about our Rams. It's natural to feel "down" for a bit when you lose out of the playoffs, especially when you lose because you fail to perform. And the feeling is compounded because that's how both of McVay's first 2 seasons have ended. It's the paradox of regular season success. It provides opportunity for glorious playoff success, even a championship, and the risk of the devastation of failure. It reminds us that, as spectators, the fun and thrill is mostly in the journey. So, we have to cherish the memories of the great journey we took this season, and look forward to the next. If (and when) we suffer more disappointment along the way, we just have to remember that it's necessary to create the context for more and greater success. The vast majority of the business of being a fan is suffering, with brief flashes of ecstasy. all the shameful crying and screaming out of NO, amplified by much of the sports media and even the news media, the idiotic lawsuits, etc. My gosh. ey're all on Twitter and other social media. dd that degree of distraction to our guys' youth and inexperience, and their being pitted against the most accomplished veterans of our age... Yeah, I think it had an effect on their confidence. McVay's challenge now, to focus his team on that additional success they achieved this season, and hold this current team together psychologically and even grow from the SB disappointment. We've all seen teams go both ways. Some stay on the ascent, and some are broken by the failure. I have confidence that McVay has the stuff to use this experience as fuel for greater growth. So, let's recharge and see. It will be fun to see how the story goes when it resumes. Nice reflections all above. Nice and insightful. Was it last year (2018) or the year before that our young Jared Goff actually said on camera that (paraphrasing) "a playoff game is no different than any other [regular season] game"? '...He has grown, he has grown.' 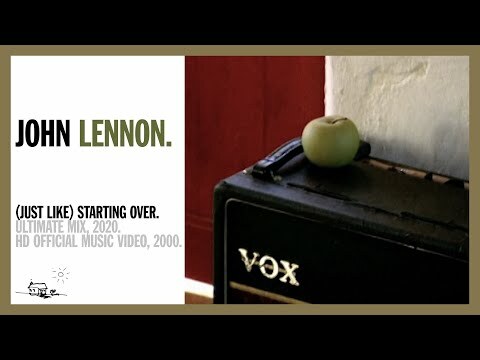 ...From Lennon's 'Starting Over' song. As disappointing as the Rams' Super Bowl performance was, I think it's only going to make the team stronger moving forward. We have a young, talented team that is going to get better, and playing in the Super Bowl is part of that process. IMO, the entire team will use the loss as a learning experience, and come back strong. I see a bright future. Of course I hope you are correct in your assertion. In last twelve years, one team (other then NE) has returned to SB after losing ....Denver lost SB 48 and came back to win in SB 50. Others disappeared after their loss....Atlanta, Carolina Whiners. As you mention, we do have the grace of a young team. On paprer, we should be back....... But I must say, I expected a dynasty back in 1999. Always will hope for the best. I'm not sure the Rams will get back to the Super Bowl next year mac, but I think with a talented young head coach and a talented young corp of players, they'll be knocking on the door for a while. Not meaning to one-up you, but you are not unique. You are far from alone in your sentiment. Add following the Lakers for the past 50 years to both the Rams and Dodgers and I can vent a good deal of vitriol over the shenanigans of LA sports. Roberts' spit-dribbling gibberish about the value of constantly changing line-ups has infuriated me to no end. Drafting that gawky-can't-shoot Lonzo-hype has disillusioned me on Magic's acumen. I was there for Koufax and Drysdale, I was there for the Fearsome Foursome, I was there for West, Baylor and Chamberlain. Just getting somewhere is not enough. Losing at The Moment is the emptiest of feelings. I too get appreciating that 30 other teams wish they had been in the Rams' place. But I am galled. The stink of the Roberts' whiffs & misses and McVay's putrid game preparation is in my clothes, in my hair, in my nostrils. I can't get rid of it as much I try to fixate on the positives. Fuk the positives, I am a professional fan, I deserve to only celebrate, not make excuses for others. Dumb asss moves deserve vilification. I will not apologize for playing the victim. If now I have turned into a whining, ungrateful, fan – so be it. It's my money, it's my emotion, I own it. Next year I'll spew the same ration of crap if I feel they deserve it. It's in the Professional Fan Bill of Rights. Though you appear to be older than I and thus have experienced a bit more, it seems we share all the same fan loyalties, including Lakers Basketball. You very clearly summed up many of my same frustrations. Yes, one remembers the titles, but you also remember the ones that got away, and it's been a two year cycle of what-might-have-been. My main 'first-love sports team / pride and joy' were the 1958 L.A. Rams but I sure remember the excitement when the Dodgers moved into town and the hoopla that the Lakers came in with in 1960. The key players, the victories, and those emotionally unforgettable "what-might-have-been's" you mentioned. Every team in every league has its ups and downs (check out the Patriots in '67 / '70 / '72 / '75 / '81 / '90 / '92 / '2000; a TOTAL of 21 wins in eight years, i.e., 120+ games in all [four regular seasons with 14 games played, and four of 16]; similar fates have been lived by the Cowboys, Dolphins, Packers, Steelers, Ninnies, etc.). How meaningful then ... to have a fan home base like this one here to share our heartaches, and our elation. I reeeeeally, seriously look forward to the 2019 Rams Season! Feeling a lot better... but the wound's not fully healed. I think its fair to say that on the spectrum of pessimist to optimist, I'm pretty close to the optimism side. Nonetheless, I was not, and am not, immune to the impact of a period of over a decade of ineptitude and disappointment. In the midst of this dark period, I always managed to find some hope before each season began. But as my hopes were dashed by October each year, it became more and more difficult to convince myself that things were going to change. Then... like a bolt from the blue... 2017 happened. A new, innovative head coach. Our intended "Franchise QB" living up to his moniker. The resurrection of Todd Gurley. It all came together in a season to remember. Then... to bolster those feelings, the Rams went ahead and blew the doors off the offseason. Three new defensive starters - all Pro Bowl players. A young, exciting WR. The hype train has now left the station and is barreling down the tracks. So you would think and optimist like me is ready to yell "Super Bowl or bust!" Not exactly. To be perfectly honest, I feel a bit of unease. A nagging disbelief that this Rams team will be the type of perennial contender that will make us forget the Linehan, Haslett, Spagnuolo and Fisher era. This is the unhealed wound. I'm like a player coming off an ACL repair. The doctors tell me that my body is sound, but my mind has not yet caught up. I'm not sure what it will take to fully heal. Another 10 wins? A playoff victory? A Super Bowl? I'm filled with hope for 2018... but I'm still a little bit worried. And if I, of all people, am feeling that way... I suspect I'm not alone. If you would have asked me at the beginning of the season that we would be 6-2 at the halfway point, I would have laughed. I had hopes for this season, but the current results have blown me away. I'm 100% behind this new leadership that now runs this team. I was a big proponent for hiring Shanahan. I thought the challenges he faced as a coach on the Browns squad would help him face adversity. I thought he was "the next offensive guru"...and maybe he is, but McVay is heads and shoulders above Shanahan from a leadership, communication, technical, attitude, energy and wisdom perspective. I am Team McVay and I love what he is doing. 2. Do we have a single weak spot on the offensive line? If you think about it, we still have 3 of the same starters from last year. What changed? I think Aaron Kromer has done an amazing job and it speaks volumes on the contributions of Whitworth and Sullivan. Adding two guys who are respected at their positions really added a new dimension to a young offensive line in desperate need of leadership and stability (Greg Robinson who?). I've watched Wentz play quite a bit this season and man...this guy is special. His footwork in the pocket, his vision, his well-executed pump fakes, his accuracy...I think he's the total package. I am of the opinion that Carson Wentz and his personality would have been the perfect fit with McVay. However, Goff has shown a lot of improvement this year and is trending upward. I love his underrated mobility and he looks much better going through his progressions. I still hate his wobbly balls that he just somehow will throw occasionally and he needs to improve on this, especially the easy throws he needs to connect. I still am not a fan of Tavon, and it is incredibly frustrating when he misses holes because he decides to run east-west instead and do his "hop-skip". I think Pharaoh Cooper can seamlessly replace him. Honestly...I don't understand why we're not running jet sweeps with Sammy Watkins. Donald and Brockers have both been dominant at the DE positions, but Tanzel Smart has been very inconsistent. Since he is undersized, he gets blown up quite a bit. He did not have a good game against the Giants as he was consistently getting dominated by a no-name center. This leads to linemen getting to the second level to neutralize Barron and Ogletree.